FlexArm Inc. will introduce the AR-40 Articulating Torque Reaction Arm, for enhanced operator ergonomics and improved production quality. Occupying a small footprint, it delivers up to 40 ft. /lb. of torque reaction through a working range of 4-¼ to 27 in. Tools as large as 10 lb. and 2-in. in dia. can be maneuvered without the operator having to support the tool weight, enabling enhanced ergonomics and safety, while improving production quality by maintaining tool perpendicularity. Equally suited for either vertical or horizontal fastening orientations, the AR-40 is completely mechanical, with no external power source required. 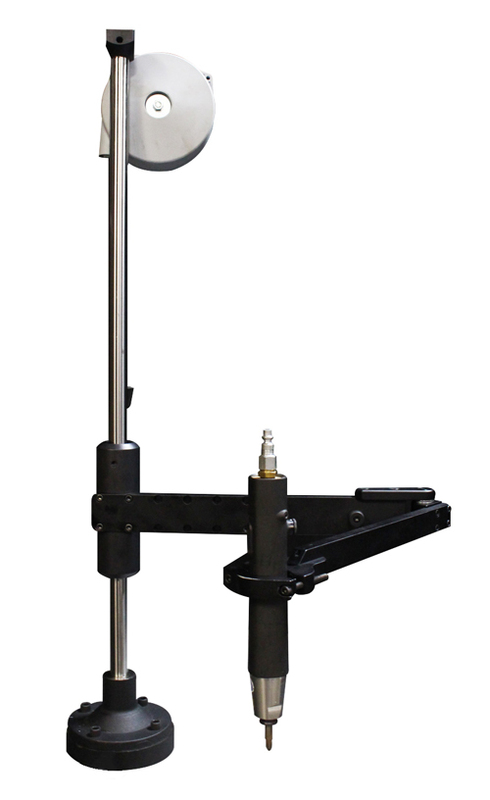 A cable balancer, calibrated to tool weight and torque, allows weight adjustment at the operator’s fingertips. Universal mounting and a small footprint allows it to integrate into virtually any manufacturing environment.